We compare the Ergohuman Classic vs Ergohuman Luxury. 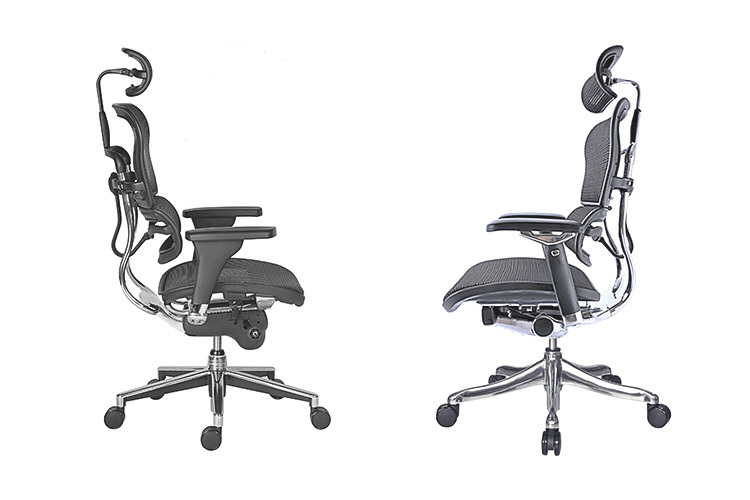 The main difference between the Ergohuman Classic and Ergohuman Luxury, apart from the extra chrome finishing of the Luxury, is that the Ergohuman Classic has a wider body 52cm compared to the Luxury which is 50cm which may be more comfortable for users who are above 6 foot in height. The Ergohuman Luxury also comes in full genuine leather material or a combination of leather and mesh.